“Bonaire’s culinary side is very strong and shows local talent, very impressive”, says Mr Frank Comito, CEO / Director General of the Caribbean Hotel and Tourism Association (CHTA), who brought a visit to Bonaire the weekend of 24 March. 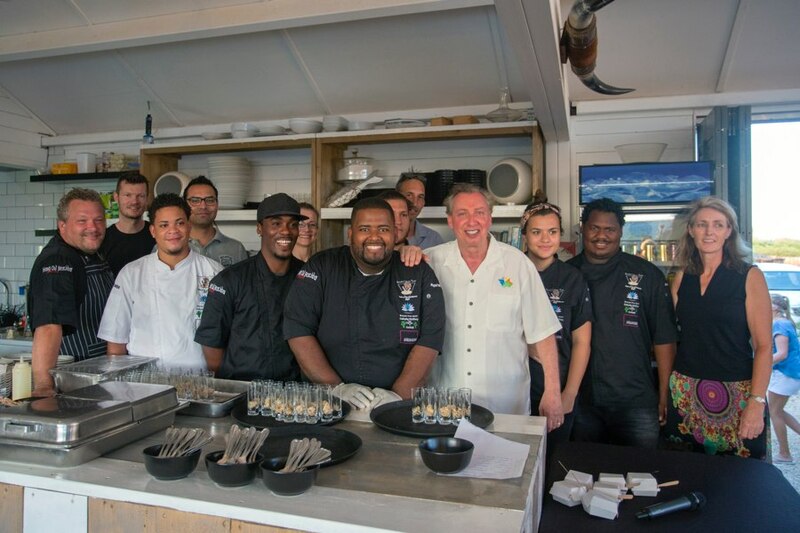 Mr Comito attended the very first dinner of Bonaire’s Culinary Team and was very pleased to see the talented young professional chefs so motivated for the Taste of the Caribbean. “The Bonaire Culinary Team always makes a great impression during the competition, year after year.” The Taste of the Caribbean is a yearly culinary competition for young professional chefs and bartenders organized by CHTA, taking place in Miami from 22-26 June this year.